Apple investors are worried about the iPhone sales given signs that revenue could be as much as 7% lower than the company’s expectations. Apple blames slowing iPhone sales on China and other developing markets. But a survey shows that there are some big reasons why people aren’t upgrading the United States, including price and a lack of new features. One out of every three iPhone owners in the US is not upgrading to a new device because new Apple phones are either too expensive or don’t pack compelling enough features according to a new poll conducted by Business Insider. 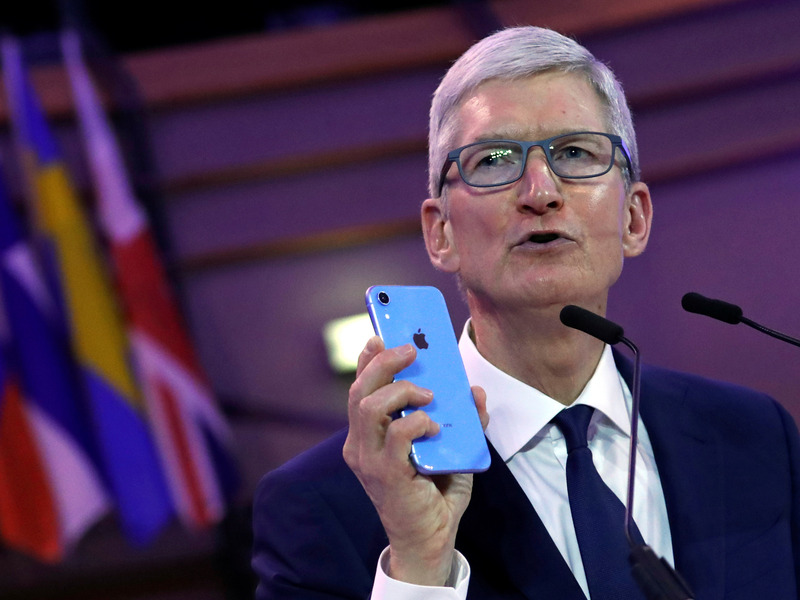 Consumer reluctance to replace an existing iPhone with one of Apple’s latest models is an issue that’s becoming critical to Apple’s future as the company experiences the biggest jolt to its business in more than a decade. Investors will be keen for Apple to provide details about the slowdown in iPhone sales when it reports fiscal Q1 earnings on Tuesday. Apple pre-announced earlier this month that iPhone sales were billions of dollars lighter than expected during the holiday period. For analysts and investors, the big questions are what’s causing the sales slowdown and what can Apple do about it? Based on the latest polling data, the answers may lie in the higher prices that Apple charges for its phones, and the perception among some consumers that new iPhones don’t do anything amazing enough to warrant the expense. INSIDER ran a SurveyMonkey Audience poll that ran January 26-27, 2019 where we asked respondents about why they might hold off from upgrading their mobile phone. We asked 1,233 people which consumer they were best described by. Off the bat, 28% said they didn’t have an iPhone, and 21% said they have upgraded their iPhone in the past year. But the two biggest reasons why people haven’t upgraded are “because my current phone works fine,” with about 17% of respondents, and “because the new versions are too expensive,” which 13% said best describes them. All told, 38% of respondents said they haven’t upgraded their iPhone for reasons that aren’t related to whether they’re eligible for an upgrade now. Apple released three new phones this year — the least expensive, the iPhone XR, starts at $750, and the priciest model, the iPhone XS Max, starts at $1099. In 2016, the lowest priced new iPhone — the iPhone 7 — cost $649. So the starting price for Apple’s most affordable new iPhone model today is 15% higher than it was two years ago. And consumers appear to be reacting to the sticker shock by holding off on upgrades. Only 2% said they hadn’t upgraded because they were able to replace their battery, making the phone feel new, which Apple had pointed to as a reason for some decreased demand. Upgrades have served as a pillar of Apple’s iPhone business for years, and will continue to play an important role in Apple’s fortunes even as the company shifts it emphasis to its “services” business. Apple said in October that it would no longer disclose how many iPhones it sells as it moves to the services mode. But Apple’s plan to emphasize revenue from services like streaming music sales and warranties rely on a large, self-regenerating installed base of iPhone owners. The poll is only for US users, so it only provides a partial answer to a challenge affecting Apple’s business globally. In particular, a weakening economy in China also appears to be causing problems for Apple, along with other tech companies such as chipmakers Intel and Nvidia. Still, the survey data makes clear that as Apple seeks to revive iPhone sales, it will have to add more features and lower prices to entice more Americans to upgrade. SurveyMonkey Audience polls from a national sample balanced by census data of age and gender. Respondents are incentivized to complete surveys through charitable contributions. Generally speaking, digital polling tends to skew toward people with access to the internet. SurveyMonkey Audience doesn’t try to weight its sample based on race or income. Total 1,233 respondents, a margin of error plus or minus 2.95 percentage points with a 95% confidence level. Are Blockchain Phones the next big thing?